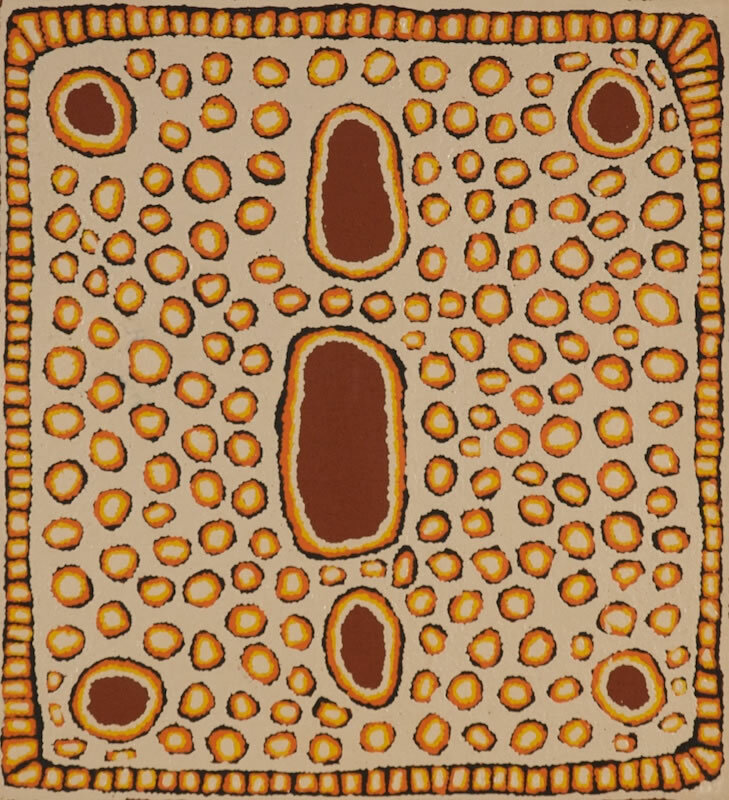 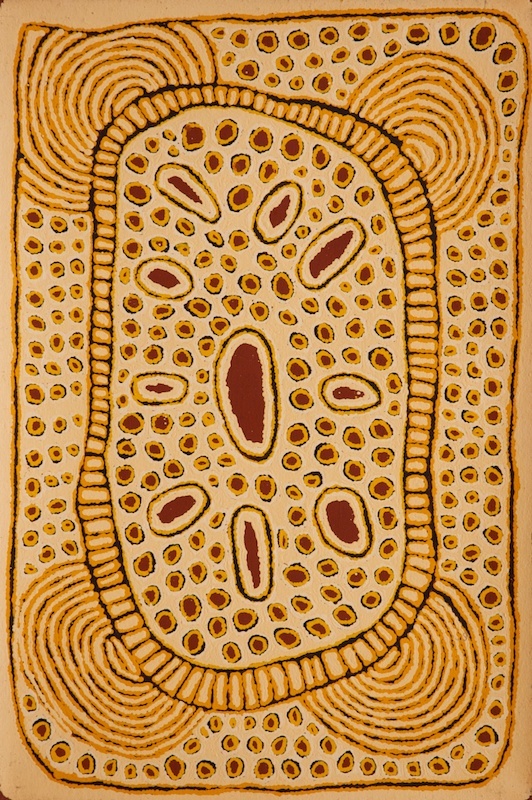 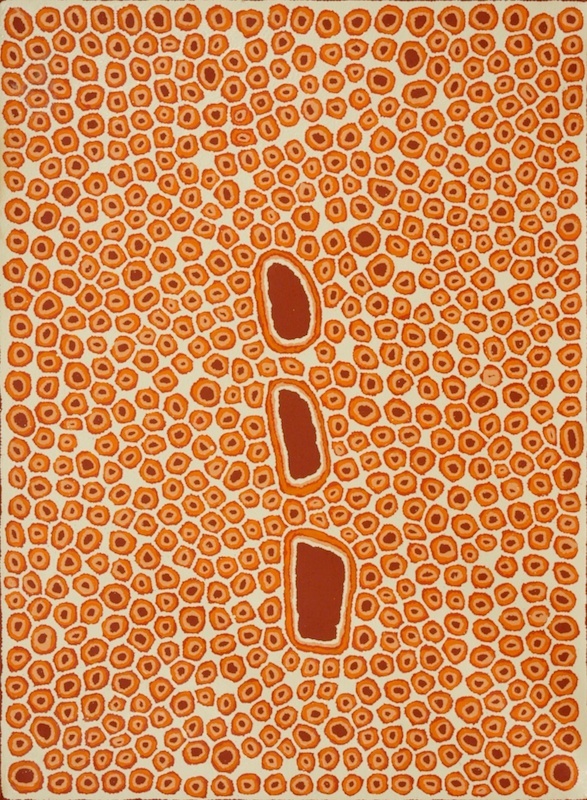 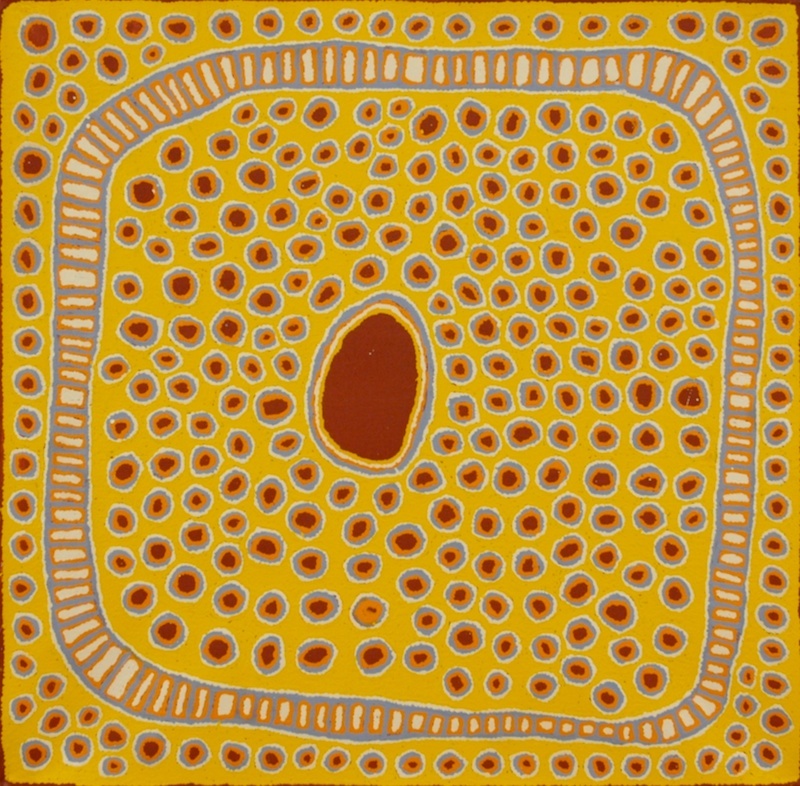 Yuyuya Nampitjinpa was born west of Muyinga in Western Australia, just over the Northern Territory border, circa 1946. 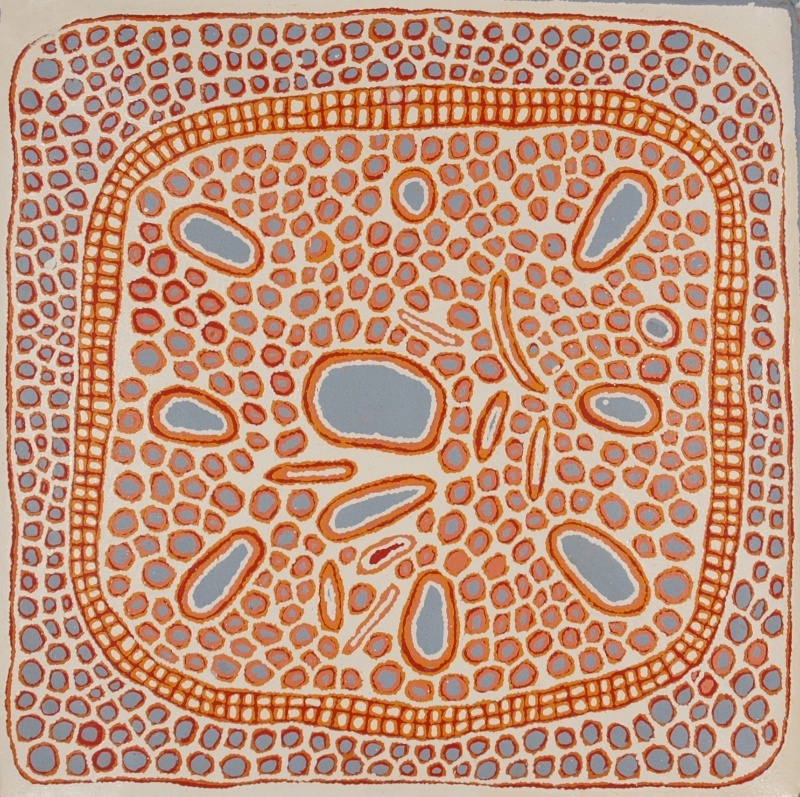 Her family moved to Haasts Bluff in the 1950's and later to the newly formed Papunya Community. 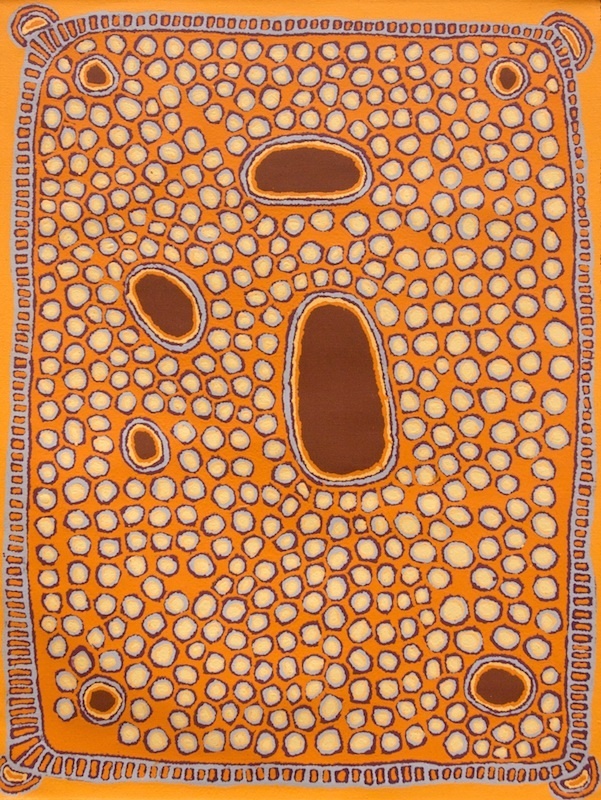 She is the sister of the well known artist, Ronnie Tjampitjinpa.